Katie Overcash Rodgers, LCSW, earned a Bachelor of Science in Child Development and Masters of Social Work from the University of Alabama. She has provided mental health therapy for children, adolescents, adults, and families in residential programs, school based programs, and outpatient facilities. 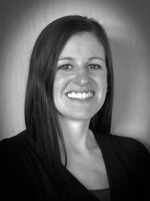 Since 2009, Katie has served as an Outpatient Therapist in private practice. In December 2012, Katie opened her own private practice at Overcash Therapy Services, PLLC. Katie has experience and training in the areas of anxiety, depression, traumatic stress(Post-traumatic Stress Disorder and Developmental Trauma), self-injurious behaviors, divorce, separation, child abuse, identity development, interpersonal relationships, and self-esteem building. Katie’s mission is to help other’s feel better in their brains and body through various self-regulation techniques. Katie is recognized in the community for years of experience in integrating mind, body, and brain techniques for wellness. Katie has completed yoga teacher training and is RYT200 certified as well as a “Relax and Renew® Advanced Trainer” through Judith Hanson Lasater. Contact for more information on private or group sessions. Katie recently trained under the Othmer Method of Infra-Low Neurofeedback. Neurofeedback training available now. Click here for more information. Katie is accepting of any religious or non-religious affiliation, sexuality, ethnicity, or gender. Find my profile on Psychology Today here!